Lovely property located close to central Headingley. The property offers three large double bedrooms and a spare single room / study. There is a spacious fully fitted dining kitchen on the ground floor and a separate lounge with leather sofas, working fireplace and flat screen TV! 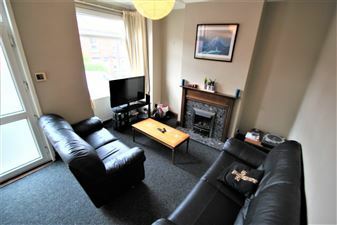 This property is now eligible for HALF SUMMER RENT for the 2019/2020 academic year!. No you re not dreaming! Great location near Hyde Park Corner and a few minutes walk from Headingley. The flat offers 3 large double bedrooms, a lovely modern fully fitted kitchen including a dishwasher. There is a spacious lounge and a modern fully tiled bathroom.